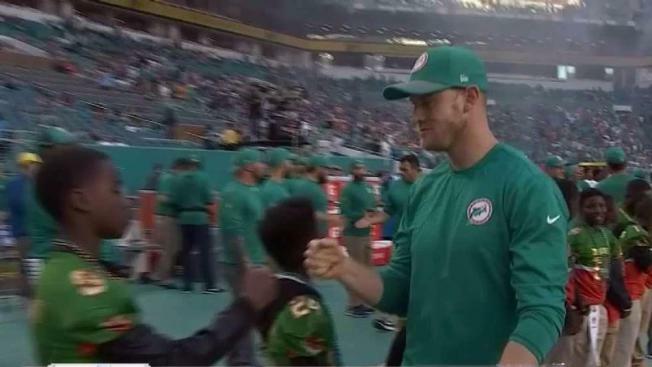 NBC 6's Michael Spears explains how the Miami Dolphins are taking steps to try to bridge the racial divide. Miami Dolphins receiver Kenny Stills vacationed this offseason in Africa, led several teammates on a training trip to Nebraska and returned to find the NFL's national anthem debate again at peak volume. The sixth-year pro is part of the debate because he kneeled during the anthem the past two seasons and has been vocal discussing social justice issues that inspired the protest. But the league hasn't been able to reach an agreement. On Wednesday, Dallas Cowboys owner Jerry Jones said he'll insist his players stand for the anthem.